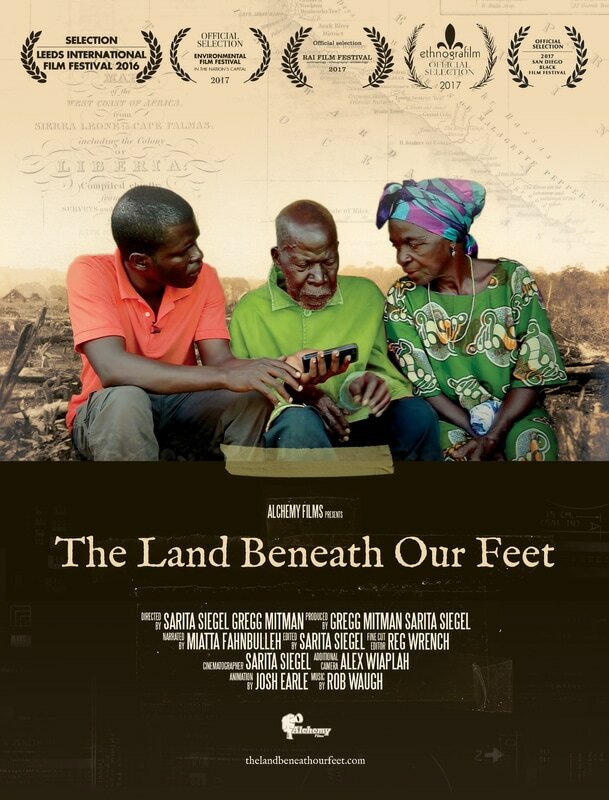 The Land Beneath Our Feet follows a young Liberian man uprooted by war, who returns from the USA with never-before-seen footage of Liberia's past. The uncovered footage is embraced as a national treasure. Depicting a 1926 corporate land grab, it is also an explosive reminder of eroding land rights. In post-conflict Liberia, individuals and communities are pitted against multinational corporations, the government, and each other in life-threatening disputes over land. What can this ghostly footage offer a nation, as it debates radical land reforms that could empower communities to shape a more diverse, stable, and sustainable future? The Land Beneath Our Feet had its world premiere on November 11 at the 2016 Leeds International Film Festival.